So, Google has recently rolled out the most anticipated successor of the current Android OS (Oreo). However, it’s a developer preview, and apparently, it seems a lot of things are revamped quite a lot in it, adding a couple of nifty features and also intuitive interface like the improvisation of messaging notification and including the notch support which is pretty common nowadays. However, the fact to note down is that every year Google adds a unique major feature in its Android OS. For Example, Android 5.0 came up with device encryption, Android 6.0 came with per-app permissions, Android 7.0 had seamless updates, and Android 8.0 launched with kernel hardening to make exploiting its innards more difficult than ever. Android P, which is yet to officially come out, is going to be more frequent to add an extra layer regarding Android security patch & privacy which will be its unique feature to stand alone among the rest of the predecessors so far. Compelling use of Fingerprint Authentication. Incrementally, security is getting prominently implemented in many apps, and there are ways to authenticate the identity of a particular user. 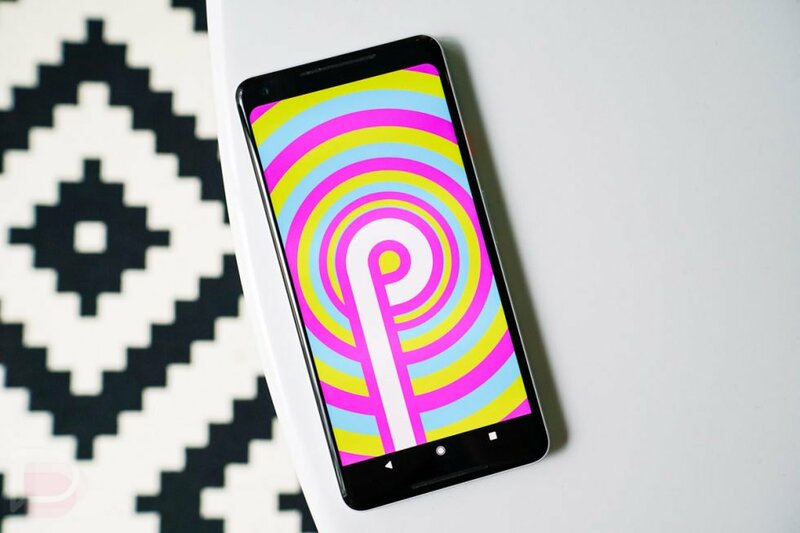 For this reason, Android P will roll out popups whenever the OS wants to authenticate the user with the fingerprint which in turns boost the confidentiality of user app data and enclose it in an encrypted ecosystem. Talking in the developers perspective from Android P, they can provoke the fingerprint dialog taking the use of a new API specially curated for the new system. Encrypted ecosystem over app data traffic. From now on, every app’s network traffic will be redirected through the HTTPS encrypted tunnel, which is the probable reason why most of the user prefer iOS over Android. After all, they seek for a secure space over potentially vulnerable space. And for most of the part, it is challenging for the OS ecosystem when it comes to handling the third-party apps. However, it might be shocking to many users that still many apps transmit their in-app user data through an unencrypted tunnel which turns out to be a justified reason for so many unexpected data breaches over the globe. In Android P, Google is approaching to defend the users from all the potential breaches by creating changes in Android network security configuration to block every clear text traffic. End-To-End Encrypted Cloud Backups inaccessible without the pass key. Similar to what WhatsApp did a few years back, with Android P, Google is going to add a new configuration where, if a cloud backup is made on Google server, Google will make sure that it is well encrypted. However, it won’t be available for restoring without a passkey which will be provided at the time of backup. In this way, it’s inaccessible even for Google itself. Background restriction of sensors for idle apps. This feature was teased by Google a couple of weeks back. The apps that are idle in the background won’t be able to access any hardware components of a smartphone without letting the OS know about it. This means the user will get informed by a persistent notification whenever any app wants to access any hardware components such as the microphone, camera or any sensors on the phone silently in the background. So, these are a few features which are yet to come out with Android 9.0. What are your thoughts? Do let us know via the comments section.